Here's another long due post, and another favorite BB cream of mine, the Baviphat BB Magic Girls Plus BB Cream in Fresh for Oily Skin, the name is pretty much long I know haha but they also offer another variant for Dry skin with rather the same packaging, so just to avoid confusion let's stick to its long name. Baviphat BB Magic Girls Plus BB Cream for Oily Skin comes in a squeezable tube container. And it is the main thing that bothers me the most about it. I'm very particular with the packaging and containers as I don't want even a drop of the product going to waste. I can get away with its cheap-looking almost chipping sticker label but I was really hopeful that they would step up their game when it comes to packaging. Enough with the huff, on the lighter note I don't have a problem with the scent, it's mild and powdery. 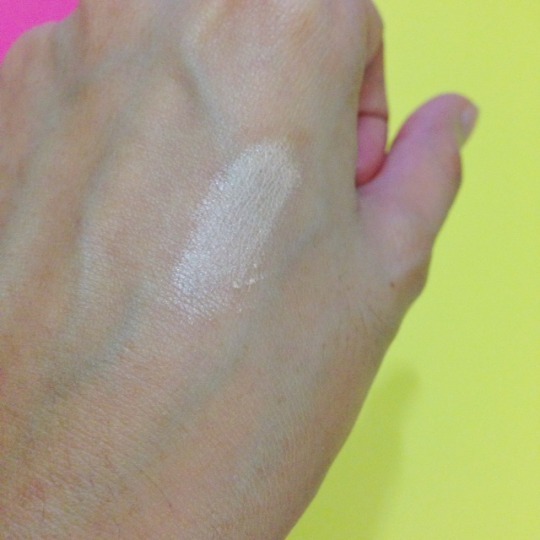 Like with most BB creams, I believe this comes in one universal shade only. 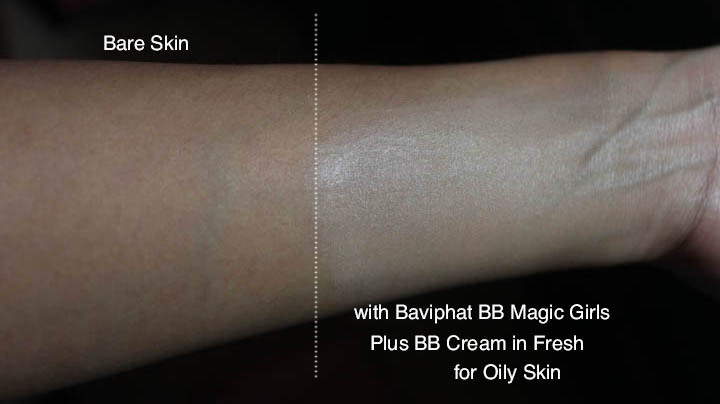 Well, fret not as Baviphat BB Magic Girls Plus BB Cream does its job well in blending with your natural skin tone. I would call it 'your natural skin but better' haha! As you can see on the photo, compared with other Korean-branded BB creams, Baviphat BB Magic Girls Plus BB Cream leans more on the yellow tone. No gray cast either. 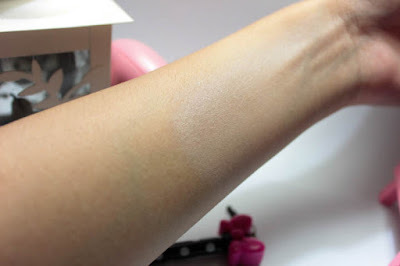 It is also the darkest shade among my BB cream collection, you may check the overview here, making it suitable for most Pinay skintones. A little goes a very long way. It's pretty thick but blendable, just be sure not to put too much on to avoid looking ghostly. With only a little blending, you can see how thick the BB cream is and how close the shade is to my skin tone. After it fully set on my skin. I would say it's medium to heavy. It's highly buildable as well. I'm kind of used to heavy makeup so I intentionally used it heavy at first and so far it didn't disappoint. It covers pretty impressively too. 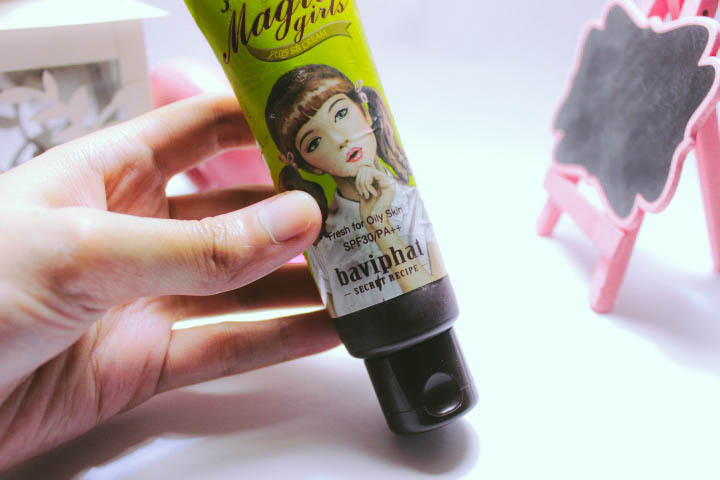 I do have annoying huge cystic acne right now though, and while this may not have covered them totally, Baviphat BB Magic Girls Plus BB Cream was able to cover at least 95% of anything unattractive on my face. 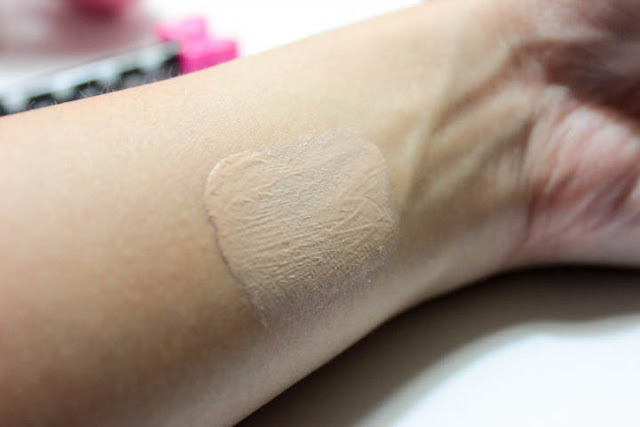 while blending, it dries up pretty matte and powdery, yes, it's rather powdery that's one thing I notice and it reminded me of Holika Holika Petit BB Cream (Clearing). It isn't totally a bad news though as I'm starting to love BB creams that dries up powdery. 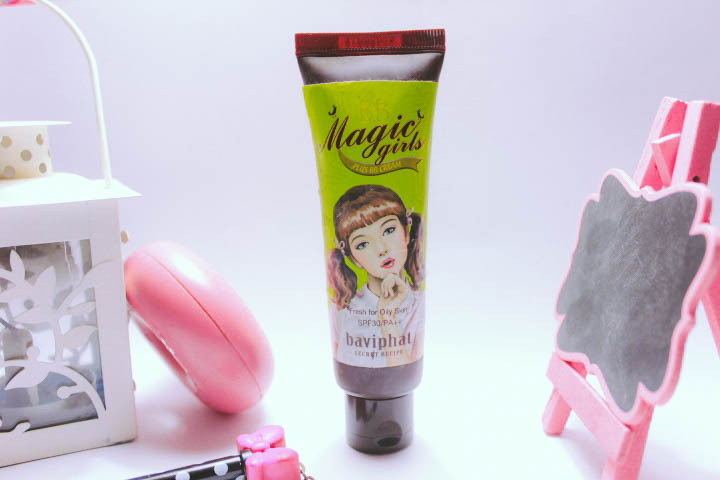 What's nice about Baviphat BB Magic Girls Plus BB Cream for Oily Skin is that when it totally set in your skin, it does make your skin look glowy. 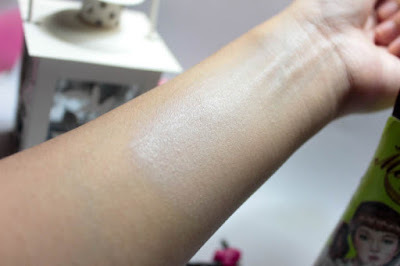 I don't have the exact words to describe it but the finish is just beautiful because it isn't the kind of dewiness that makes me look even more oily, it is just the right glow while still maintaining that powdery feel. I'll give this 5-6 hours without intense activities, depending how extreme the weather for that day is. I'm acidic but Baviphat BB Magic Girls Plus BB Cream stays on me pretty decently. 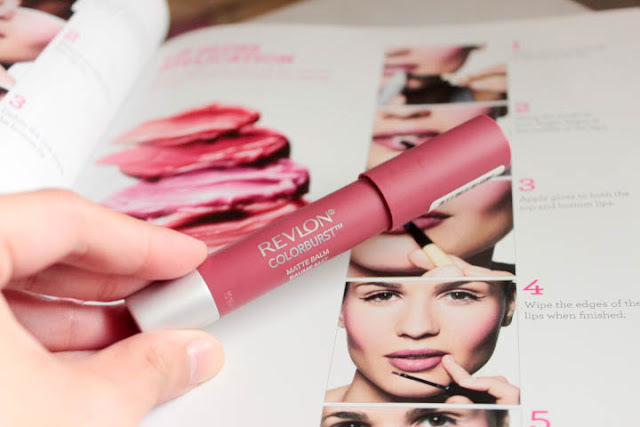 Anyhoo, for today's makeup review, we will be talking about a matte lip balm from Revlon and it's called the Revlon Colorburst Matte Balm in Sultry. 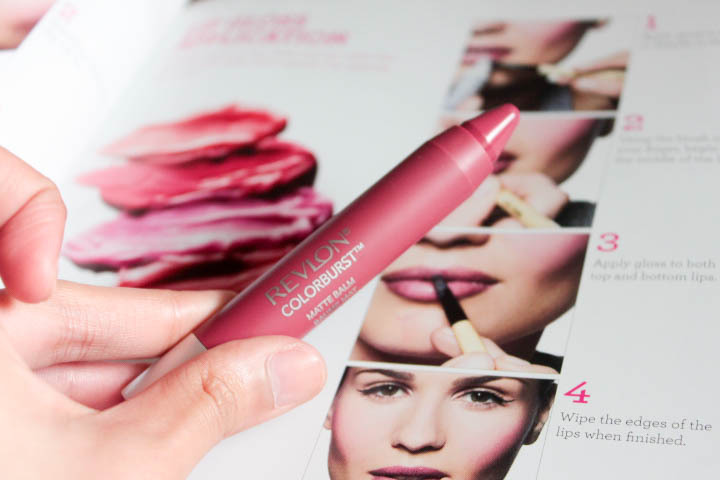 Revlon Colorburst Matte Balm (P575) which I got on 50% off sale for only P287.50 by the way, is housed in a retractable crayon container, something that resembles some crayon concealers in the market. It is available in 10 beautiful shades. 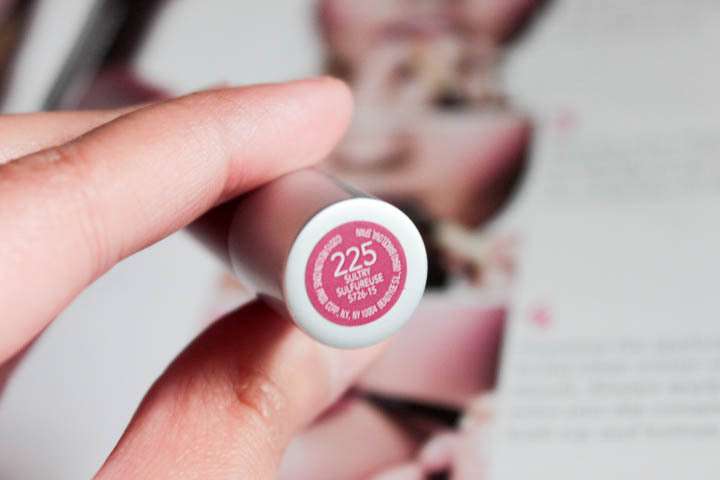 For this review, we got shade #225 called Sultry! 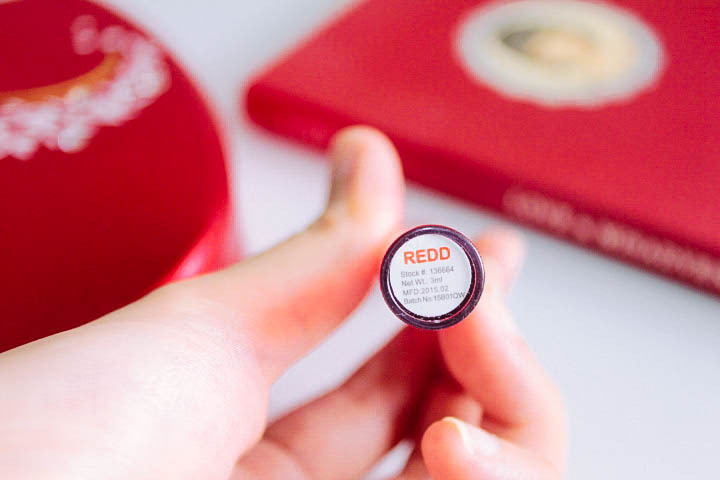 the container tube is the exact true color of the matte balm, making it easier to choose among the available shades. Sultry leans between the color of a brown rose or a muted pink rose. 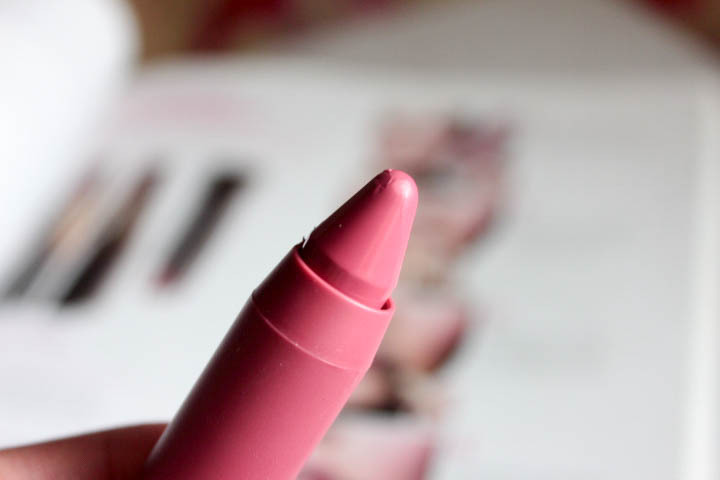 It's the kind of rosy that is suitable for everyday use. 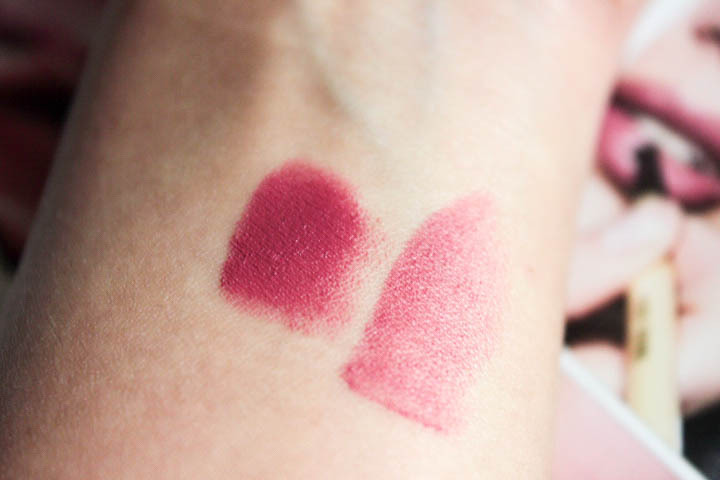 If you have a medium-deep complexion like mine, one solid swipe or two will give a look like your 'natural-lips-but-better' - which I really love by the way! Moisturizing. If you're totally not a fan of flaking matte finish, this one is for you. 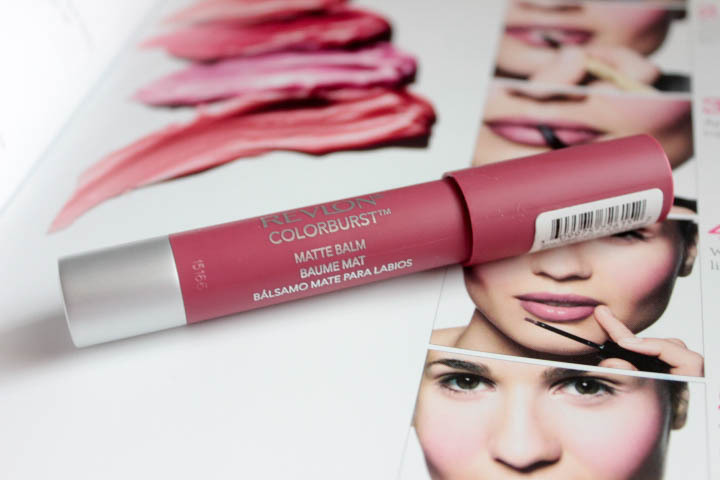 Revlon Colorburst Matte Balm dries up semi-matte and doesn't look dull and flat. I have chapped lips myself so this is pretty much a 'pro' to me. As for the lasting power, Revlon Colorburst Matte Balm stays on me adequately long enough. I give it around 4-5 hours, without eating. And oh, it can emphasize and stay in between dry cracked areas of the lips so to avoid this, be sure to exfoliate first and don't forget to apply a moisturizing lip balm beforehand. Tip! Sometimes I feel that it's too lustrous for my liking, so what I do is I tone it down and make it look more matte by blotting my lips with a tissue, then voila! Just be careful not to press too hard. 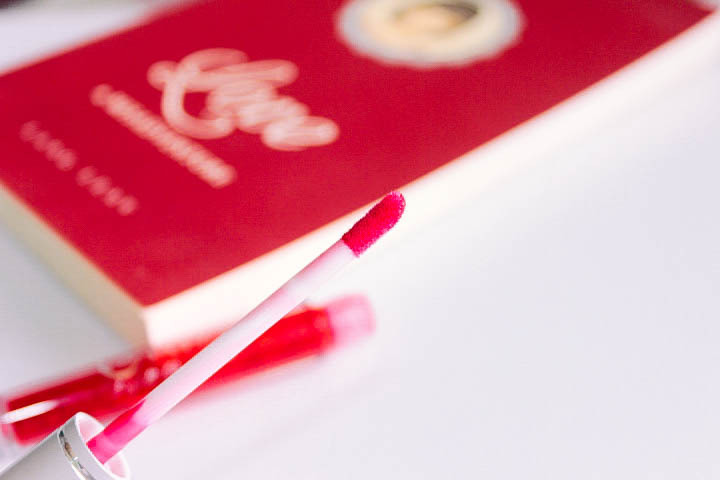 Today, we will be reviewing an item that has been a staple in my makeup kit, LIP TINT! 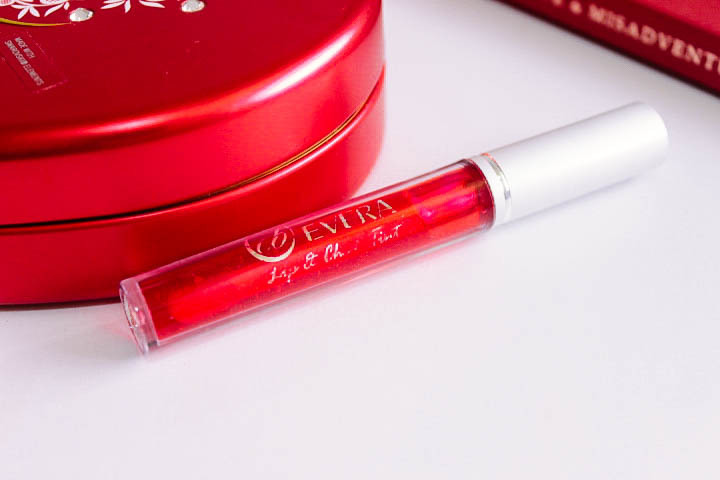 EVER BILENA Evera Lip and Cheek Tint (Php 75.00) is one of the affordable lip tints in the local market. 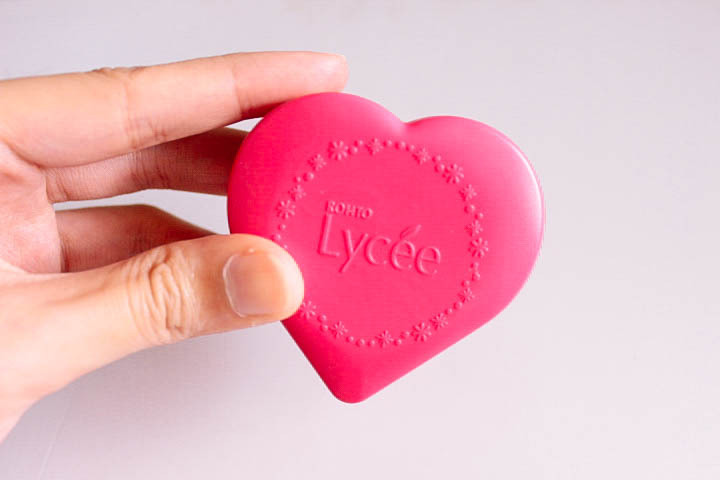 It's super portable for every chic on-the-go, and gives that healthy pink flush in a jiffy, especially during emergency touchups! 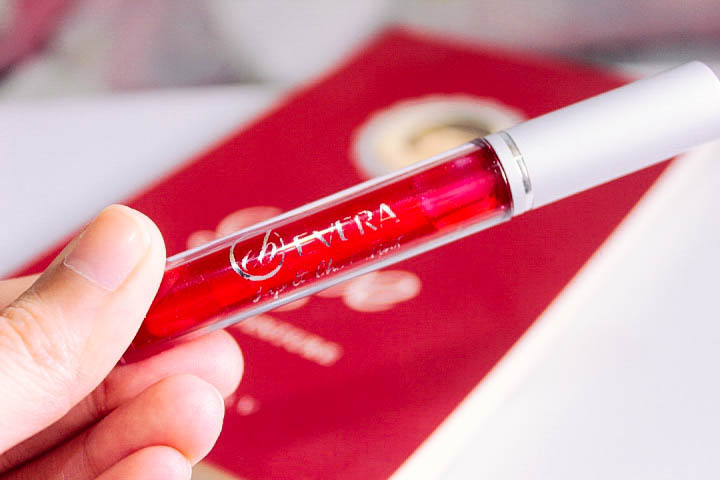 Here's a story, I always have a lip tint or two in my bag anywhere I go. I keep one in every bag, so when my partner and I went out for day-long museum visit I was kind of complacent that I have one in my bag. And so we dined. After eating, I then dug through my bag and oh my glob! 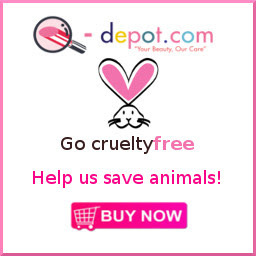 I couldn't find even a single lip tint! I know, I know it's not much of a problem to make a big fuss, but I just felt like I couldn't survive that day full of picture takings with me all looking but ghostly pale haha! And that's when we dropped by SM Manila department store. As far as I can remember the saleslady was super friendly, she then told me that EVER BILENA Evera Lip and Cheek Tint (P75) is the smaller version of the 100-peso Ever Bilena Advance Lip and Cheek Stain. I have yet to confirm any differences between the two aside from the apparent different containers. 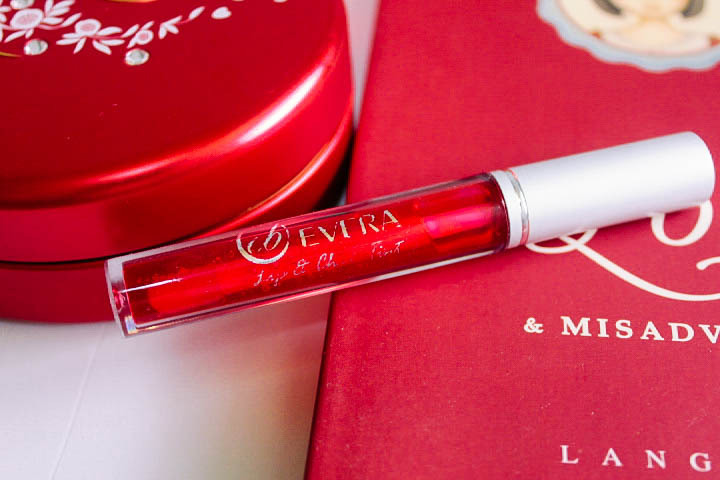 Since I was only looking for an emergency alternative for my regular lip tints, I purchase the smaller one - Evera instead. 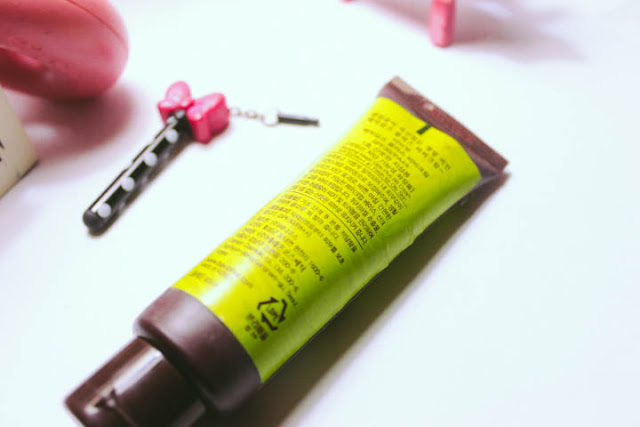 EVER BILENA Evera Lip and Cheek Tint is housed in a tube with a doe-foot applicator. 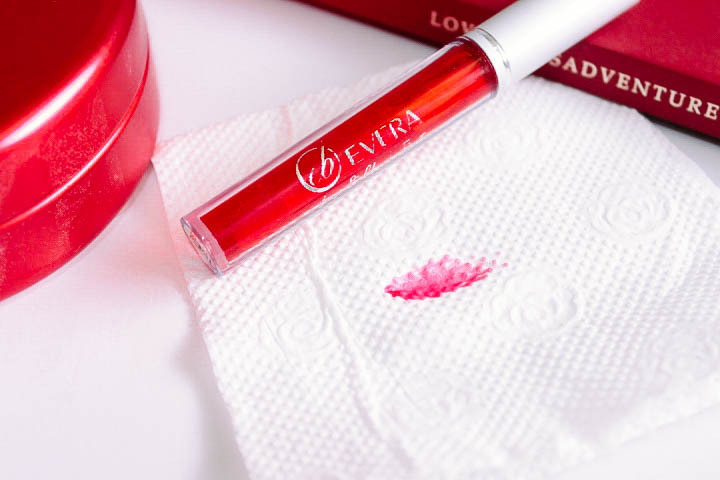 On the bottle, the color is close to that of a cherry red that appears subdued pink on lips. 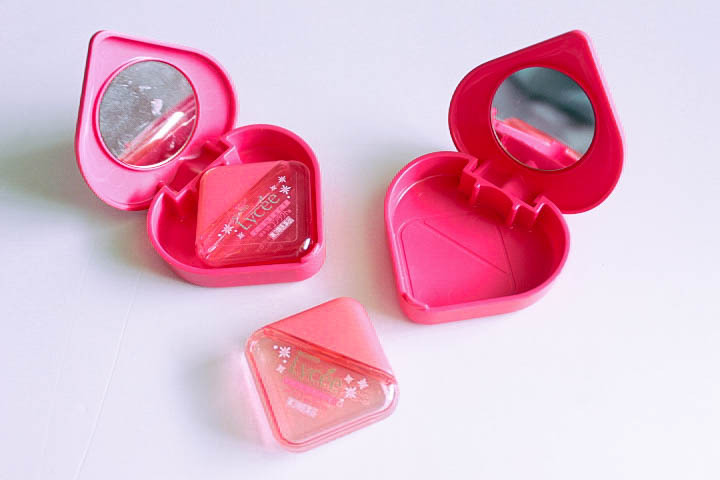 It is not as strong or pigmented as most Korean lip tints, I don't mind though. 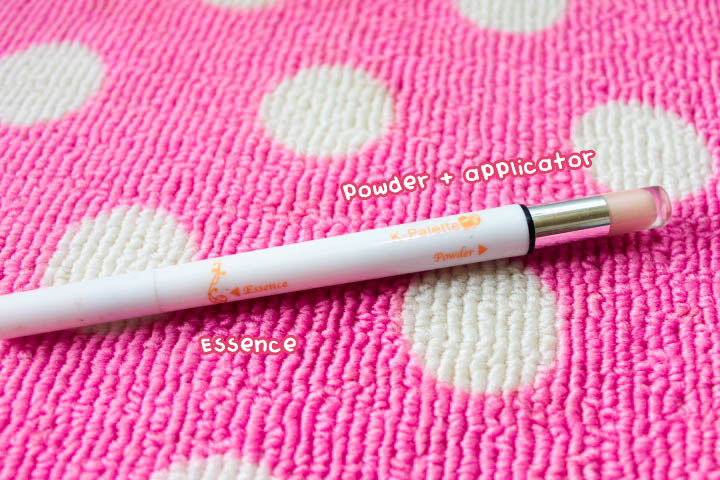 The color payoff is suitable for every day use and seems more natural. The concentration and texture leans more on the liquidy side, so it's easier to layer up and it seems to me that it moisturizes the lips too. I haven't tried wearing it on my cheeks (as I fear it's kind of unhygienic to use an applicator that I have already used near my mouth), so I can't claim anything about its longevity on the cheeks though as for the lips, it stays adequately for some time but surely wears off after eating or drinking. It is scented, but nothing that could gross you out, it's actually pretty mild, I just don't have the words to describe it but so far, it's okay for me! Taste is not that bad too, but nothing that I like neither haha! Overall, this is a fairly good buy considering the price. Hello, P75 girls and you got your natural flush real quick and easy? Win win, right? :) I recommend this to Pinay students or anyone out there on a tight budget. 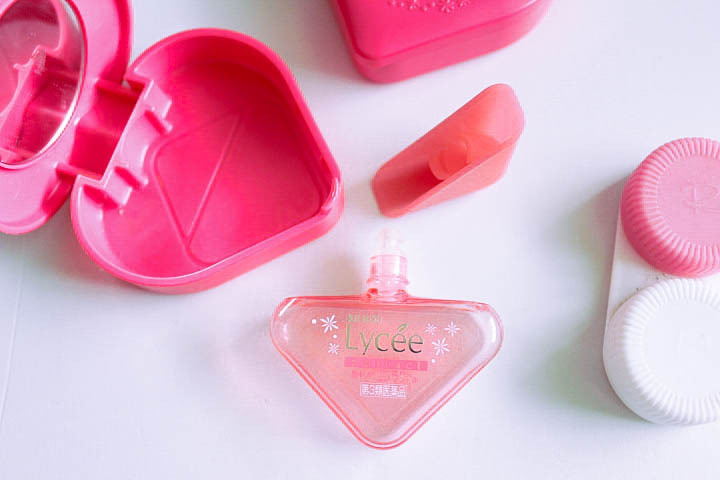 Don't get confused as Lycee Eyedrops is also available as non-contact lens use/comfort drops. Are you also one of those people whose life somehow depends on eyedrops? Kidding! Been suffering from a poor vision since I was in high school, after graduation, I was then introduced to prescription contact lenses as an alternative for my eyeglasses. You'll see me wearing my eyeglasses on most days, though I really prefer (I used to prefer) going out with my contact lenses on. And that's when my everyday eye dilemma started, my eyes have been drier ever since. So I make sure to always bring lens solutions with me, however, solutions bottle can be too bulky sometimes. That's when I discover ROHTO Lycee Contact Eyedrops. I'm already in my 2nd bottle. Who wouldn't love it? 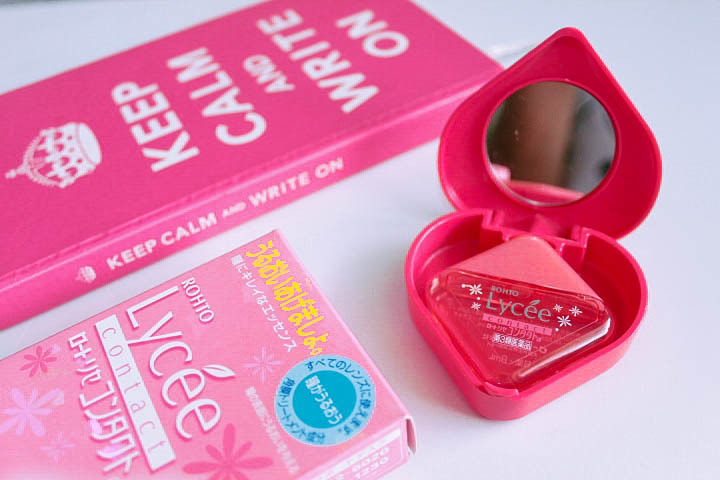 It's so cute and girly, I squeed like a kid the first time I purchased ROHTO Lycee Contact Eyedrops in Japan. I've used some eyedrops that offers the same thing - minty cool effect, however, they extremely sting! 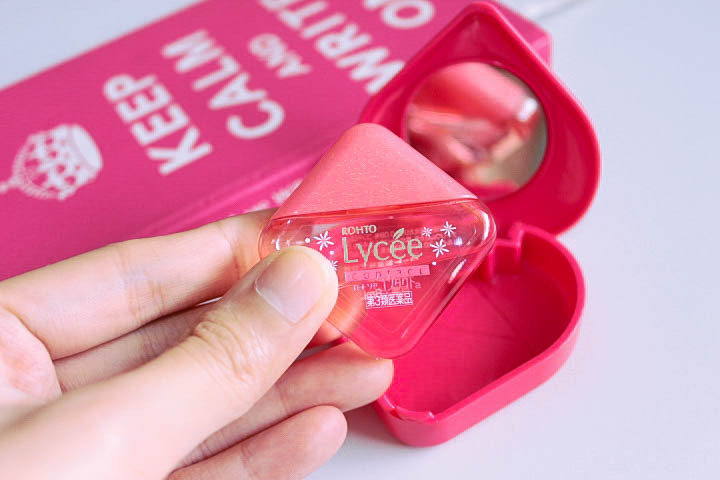 - ROHTO Lycee Contact Eyedrops does its job well in refreshing and rehydrating my eyes while wearing contact lenses. Also, ROHTO Lycee Contact Eyedrops can be used for all types of contact lenses including color contact lenses. - Not sure if this is readily available in the Philippines. However I advise googling up, as there are some online shops who offer this. - Price may vary from ₱400 - 500 which seem to be a bit steep (especially if you are a student). 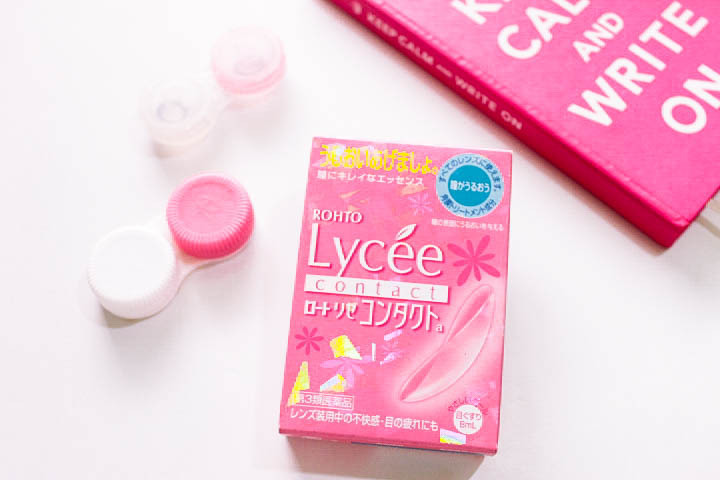 As of writing, ROHTO Lycee Contact Eyedrops now comes in a NEW but even more KAWAII box. They probably redesigned the packaging since the regular comfort eyedrop and the contact lens eyedrop variants' boxes look almost identical and confusing. 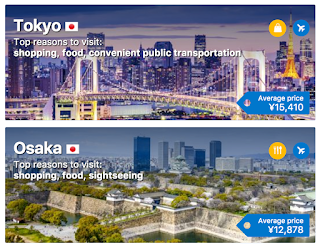 UPDATED Oct 2016: I noticed that some of my website traffic are coming from this post, this was just supposed to be a random blab/advice for a friend but since it's getting some love and attention from you guys, I thought of updating the post by adding some photos (from google maps), hope it'll be useful. Thanks! Today's advice: "Years wrinkle the skin; but to give up enthusiasm wrinkles the soul." - Anon. So here's where you can buy cheap but quality art supplies. Jomar's - They have 2 famous branches in Manila, one being just beside the old building of FEU East Asia College, just behind the 7-Eleven convenience store in Lerma; and their bigger and I believe their main branch, is located near UST in Manila in P. Noval street, just after the little food stores there and before reaching Starbucks. They have mostly everything from pencils, pens, paints, brushes, etc. This is where I usually buy illustration boards (Delta, Sonoma and Berkeley) and other art materials. I also purchased my silk screen and squeegee from Jomar's during our silk screen printing class. They also sell drafting tables, markers and almost everything you need in Architecture. The last time I was looking for markers, I saw that they also sell Finecolour markers which I've mistaken as Copics. Joyce's - if you are, or were an art student or an architect, an art enthusiast perhaps? Chances are you've probably heard the 3 J-art stores. So yeah, this is the second one on the list. As far as I know, they only have one branch and that is located just beside Jomar's UST branch. Walk pass the carinderias and you'll see Joyce's art store. The store is pretty small, so they can't really show a lot, but don't be fooled as this store is also a goldmine for many cheap art finds, just learn to always inquire about what you need. What I got here? I purchased yards of pellon cloth in here and a couple of fabric paints. Joli's - last but not the least in our J-list, the famous, and one-stop store for the fine arts and arki's? Joli's! They are located a few blocks away from Joyce's and Jomar's and just beside the condominium in P. Noval street that houses Starbucks. What I got here? A lot. My first huge art pouch/case is from Joli's, as well as some pens and pencils, sketch pads, watercolor paper, paints, brushes, plexiglass, etc. name it and they got it. Sometimes, their art items are even more complete and unique than National's. Speaking of unique, I said so because sometimes the items that you thought were only available abroad are actually available in Joli's, you just got to ask. This store has also been a haven for students taking up Architecture & Engineering, as Joli's has almost everything you need for a scale model or whatnot. I couldn't keep track of all the incredible items we purchased in here, but trust me it's really an art supply haven. Just always keep your cool as the place, though air-conditioned, is always jam-packed hence it can really get too warm inside plus payment line can get too long as well. Enriquez - If you're looking for items pretty much painting-centered then you must check out M. Enriquez Art Supply. 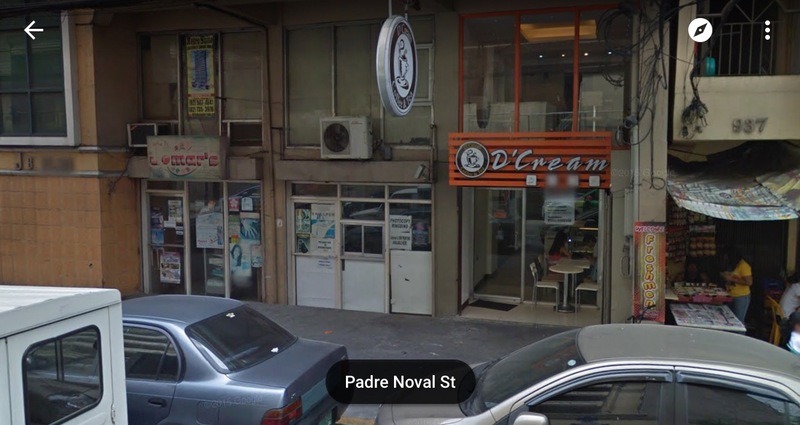 They are located in C.M Recto Avenue, Loyola St. in Manila. It is just above Super 8 Grocery which is a couple of blocks beside Jollibee - UE. The last time I got here, they were still fixing and organizing items as they've just moved from their previous place, so there's only little I could tell. What I got here? I purchased a couple of canvas from here, and some acrylic paints. 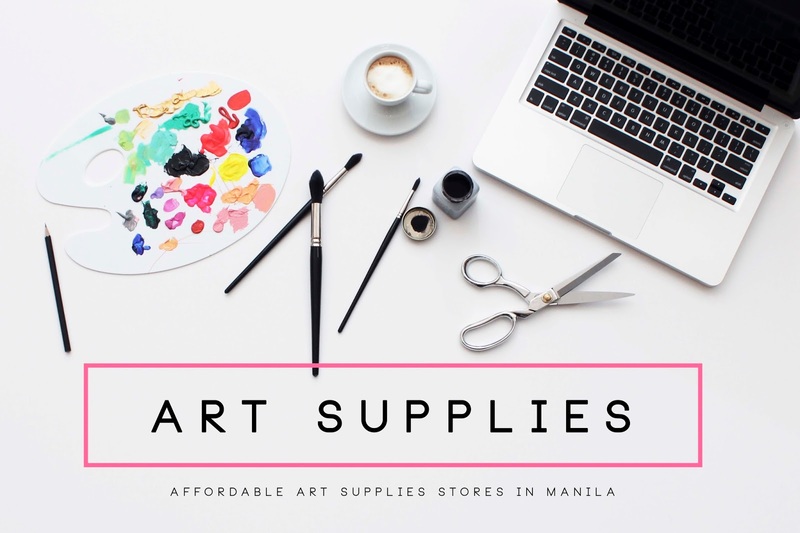 During our painting classes, whenever we were asked to paint on huge canvases which requires a couple of huge tubes of acrylic and oil paints too, our professors would advise us to check out M. Enriquez store since they sell these items cheaper. Deovir - aside from Jomar's and Joli's, Deovir is one of my go-to art supplies haven. They're as big and complete as Joli's and they offer international brands that you probably thought aren't readily available here. The branches I often visit in Manila are their Cartimar branch in Recto (near the Pasig-Quiapo FX Terminal) and the one on the other end which is just across Isetann, and is near the underpass. What I got here? A lot. I even got a plywood here for my painting class when we were asked to paint on a flat wood instead of a canvas; I also got some of my fabric paints here, acrylics, branded brushes, some sand paper, a canister, huge bristol boards and whatnots. For some students, the price can be pretty much spendy compared to J-shops, but it's still cheaper and affordable compared to big known bookstores, besides, Deovir offers art items that are unique to the shop and can't be found anywhere else. What you'll love about Deovir is the fact that they really make way to reach their market. As of writing, they have 5 branches in the metro already. And one of my favourites, and my 'emergency' branch when I'm cramming and got no time to brave that almost 2-hour ride to Manila, I just drop by their latest branch which is located at the 5th floor of SM Megamall in Ortigas. And oh, they also have facebook! And that's pretty much it! :) If you have another artsy haven in mind that you want to include, feel free to drop a comment. Thank you for reading! 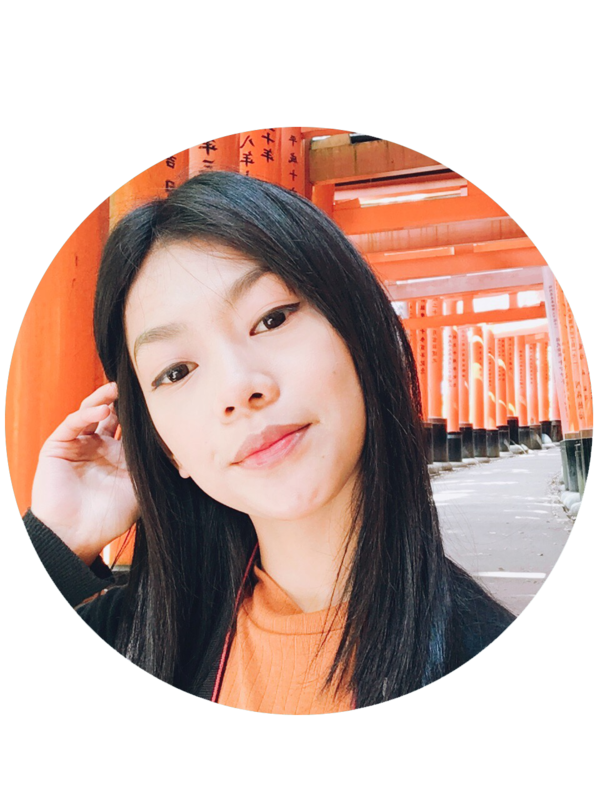 Asian countries like S. Korea and Japan have this beauty trend on putting either shimmery light-colored to white eyeliners or eyeshadows directly under the eye, not only because a.) this does create an illusion of bigger eyes, BUT ALSO b.) this somehow helps in brightening up the area, gone are the dark circles, as well as c.) it gives the appearance of younger and friendlier-looking eyes. I, too have quite small chinky eyes, but what applies best to me are letters b and c. My eyes can look unattractively piercing and scary, it makes me look as if I am always looking for a fight or something haha! 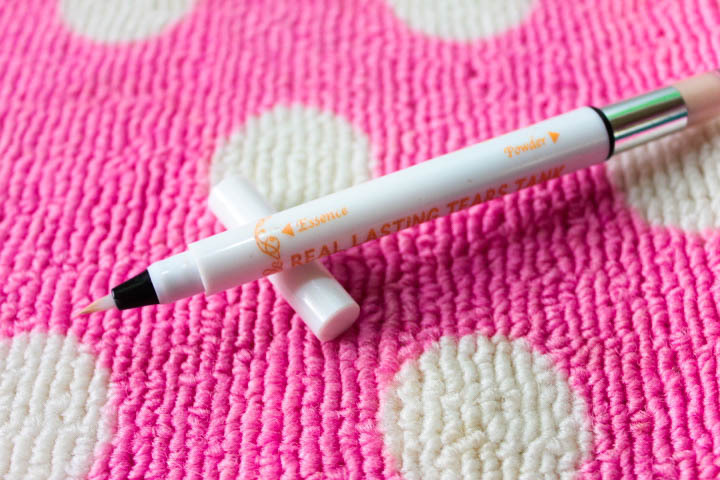 So aside from my fave black eyeliners, white/shimmery liners like K-palette Real Lasting Tears Tank has always been part of my makeup staple. Waterproof. 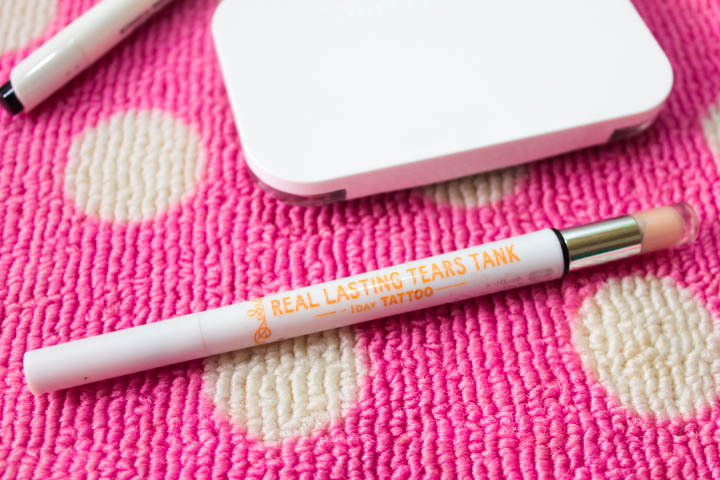 Aside from the beauty essences included, K-palette Real Lasting Tears Tank also promises to last throughout the day. 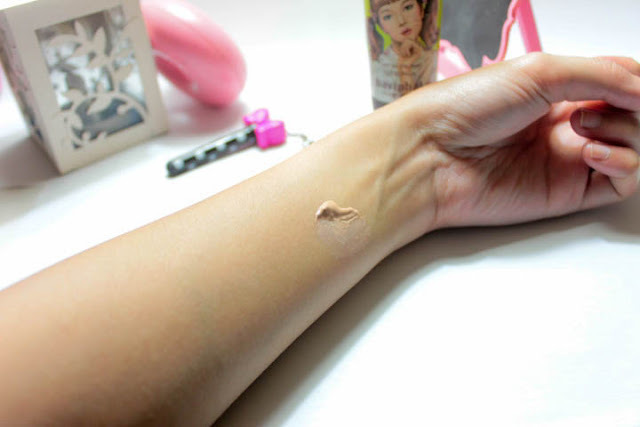 It is also under K-pallete's 1-Day Tattoo line. Cute shades to choose from. 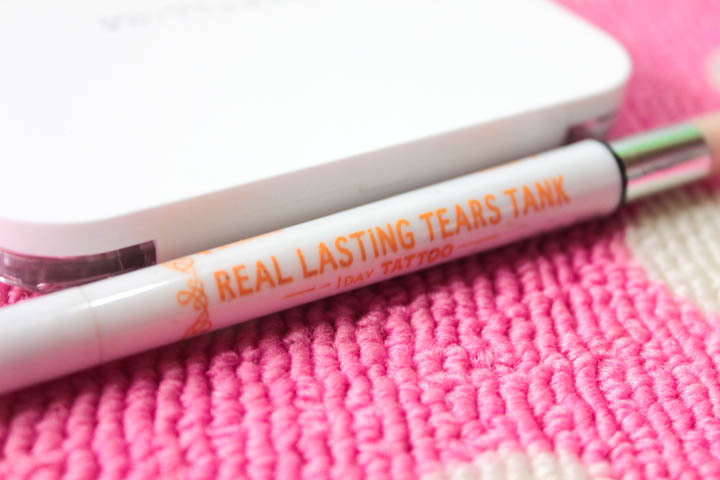 K-palette Real Lasting Tears Tank is available in 2 variants, 01 Glamorous Pink and 02 Elegant Beige. In Elegant Beige, the color is somewhat a muted version of gold. While I love most shimmering liners like this, Elegant Beige is still too light not only for my liking but also for my skintone. 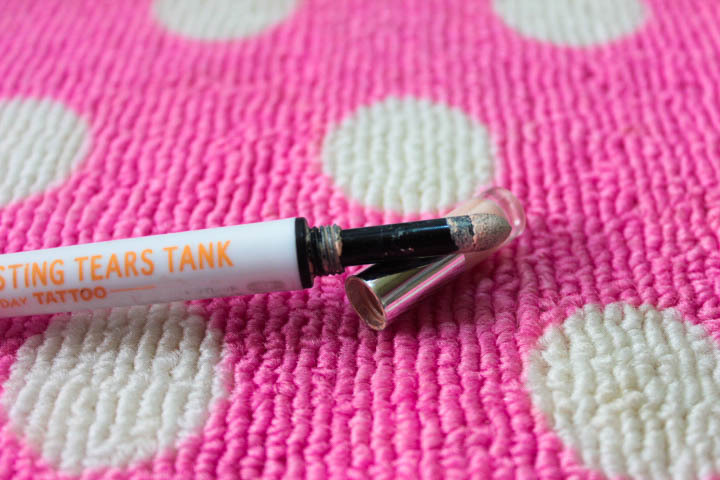 When my eyebags are extremely dark after an all nighter, K-palette Real Lasting Tears Tank somewhat fails to camouflage it, instead it somehow emphasizes the tiredness of my eyes due to its lightness in color. I guess, if they come up with an even darker shade that will suit Filipina skintone then I might change my mind and repurchase. Christmas is fast approaching. And in this world where most of us are in need of getting connected, quality gadget accessories like power cables and power banks are just some of the things that would probably hit anyone's wishlist! For someone like me, who's always on the phone - reading articles, browsing, and updating. My phone doesn't seem to last a day without a little recharging. So, here comes Belkin Mixit 4000mAh Power Pack to the rescue! 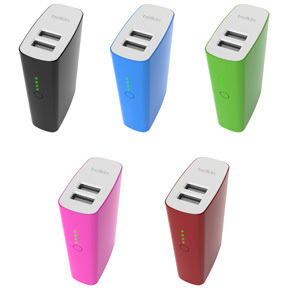 This cute nifty 4000 mAh power pack lets you charge two devices at once - while on the go! It's very ideal for trips as it charges a friend's phone at the same time it charges mine. The size and overall design is ideal for travelling as it fits easily into any handbag too! 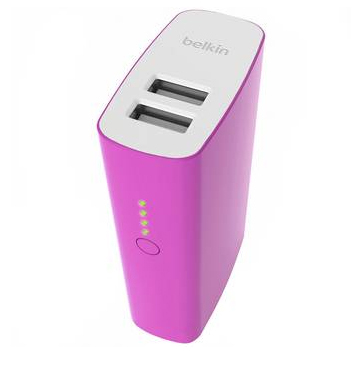 Speaking of design, if you are not girly girl as me, fret not as Belkin Mixit 4000mAh Power Pack is available in a wide interesting range of colors. 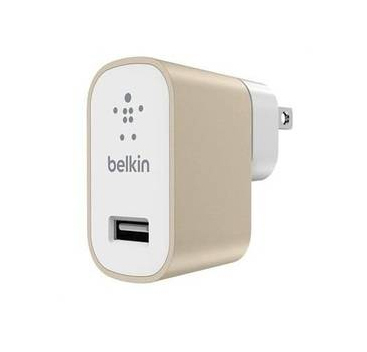 Another favorite of mine is the Belkin MIXIT Up 2.4A USB Home Charger in Gold. In this times when anything gold is automatically a fan favorite, the advent of gold chargers and whatnot is indeed heaven sent. I'm so stoked to tell you that this is not just your ordinary USB charger, Belkin MIXIT Up 2.4A USB Home Charger (Gold) is a convenient charger that charges smartphones and tablets up to 40% faster than ordinary 5-watt chargers. Can't get enough of gold? Me too. 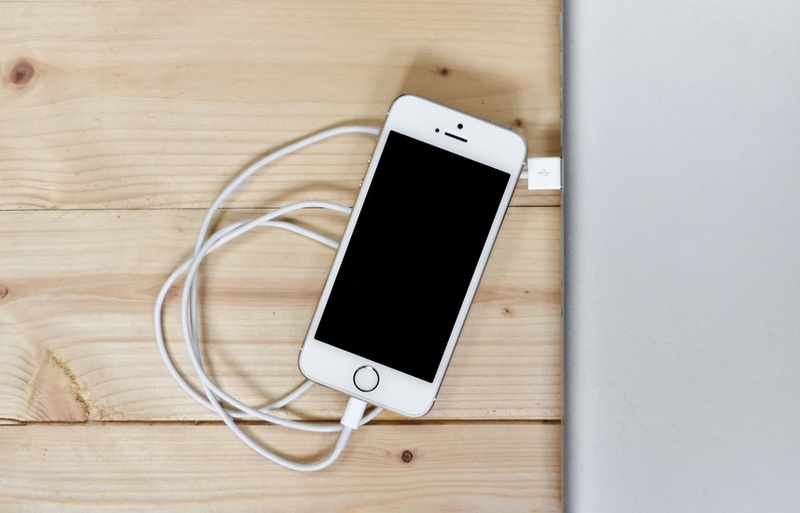 Another favorite of mine and is something that I can't surely live without is a lightning cable for my phone. So when I found out that Belkin has a lightning cable, also in GOLD, I almost scream in so much delight! Belkin 1.2 Meter Lightning Sync/Charge Braided Cable (Gold). 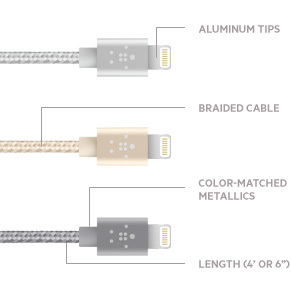 This smart and stylish braided lightning cable lets me charge and sync all my idevices safely. I love that it is not only fashionable to show off, but it's really pretty useful as it lets me stay connected whenever I'm at home, or even when I'm out. I've already messed up one of my old regular lightning cables. One thing I noticed though, chargers with flat cables seem to hold off longer than the regular ones which seem to break at least after a year of usage. With that said, I have always been on the look for flat cable that is dependable and durable. 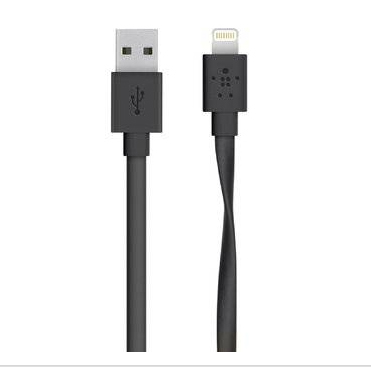 There I discover Belkin Mixit Flat Lightning to USB Cable (Black), with its ultra-flexible design, the storage and usage is easy peasy! 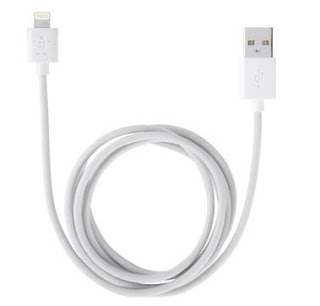 I don't have to worry about it being tangled and how to untangle it - which I believe is one of the reasons why regular lightning cables are prone to breaking. Belkin Mixit Flat Lightning to USB Cable is also available in different colors: Black, Blue, Green, Pink, Violet, Red and also White! Last but not the least, are you one of those persons who probably hates the idea of charging her phone due to the fact that the cord is so short you got to sit next to a wall socket just to use your phone? I know, I know the feeling very well! 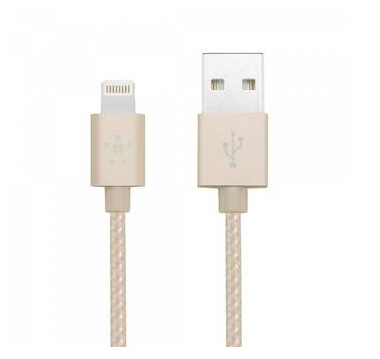 That's why I love Belkin 3 Meters Lightning Sync/Charge Cable (White). It's genius 9 feet long cord lets me charge my phone without the need to sit on the floor or next to a wall socket! 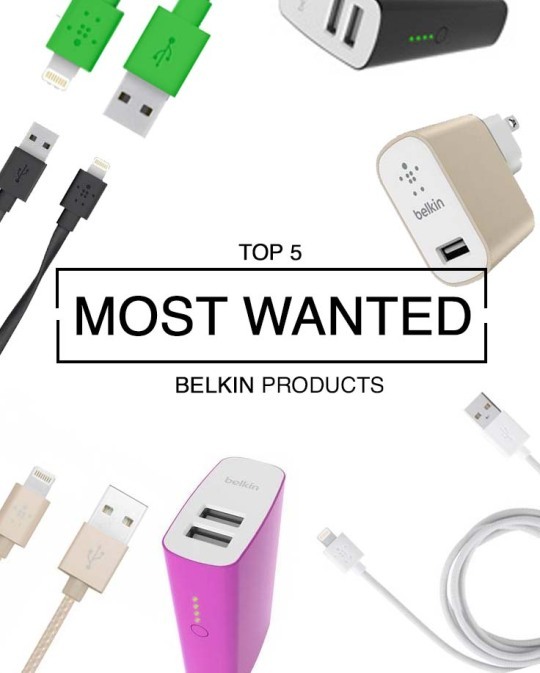 Belkin chargers are high-quality and dependable accessories that are compatible with Pad mini, iPhone 5/5s, iPod nano 7th gen, iPod touch 5th gen, iPad mini 2, iPad 4th gen, iPad Air, iPad Air 2 iPhone 5c, iPhone 6, iPhone 6 Plus.